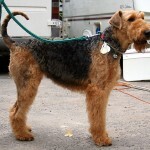 The Airedale Terrier is also known as the ‘king of terriers’ as it is the largest among the terrier breed. 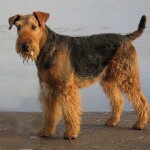 It is typically called terrier, the Airedale in the name being the name of a place somewhere in Yorkshire in England. 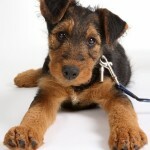 Among other names, it is also referred to as the Bingley Terrier. 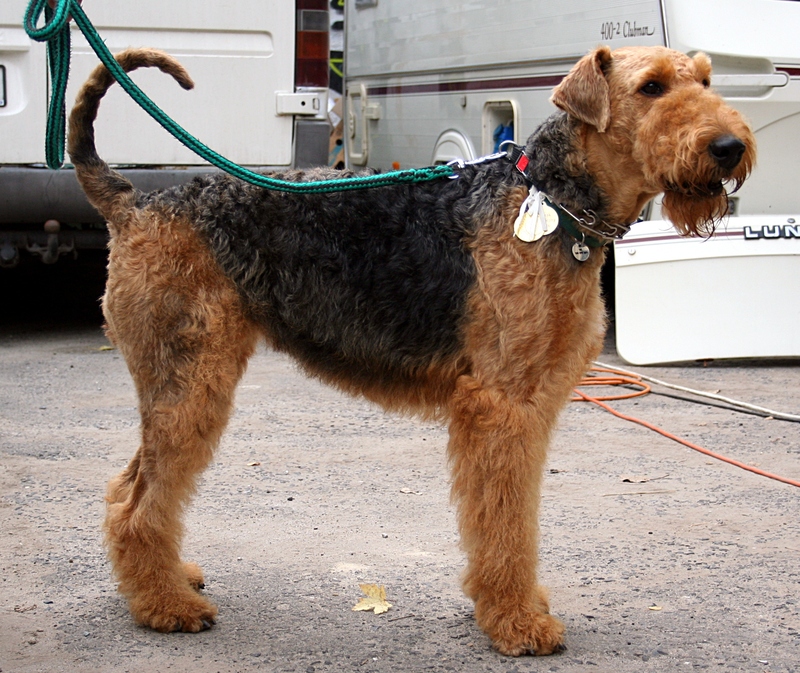 The Airedale Terrier is the largest British Terrier. It weighs around 25 kg and grows up- to a height of 60 cm for dogs while females are slightly smaller. 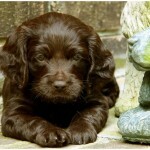 According to the Kennel Club of America, a smaller size of this breed is specified. They are found in North America and are called as ‘Oorangs’. 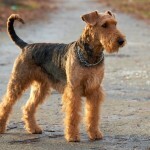 The Airedale Terrier has slight medium length tan and generally black coat with a soft undercoat and a hard topcoat. They are often energetic and active in nature, fearless and not too aggressive. 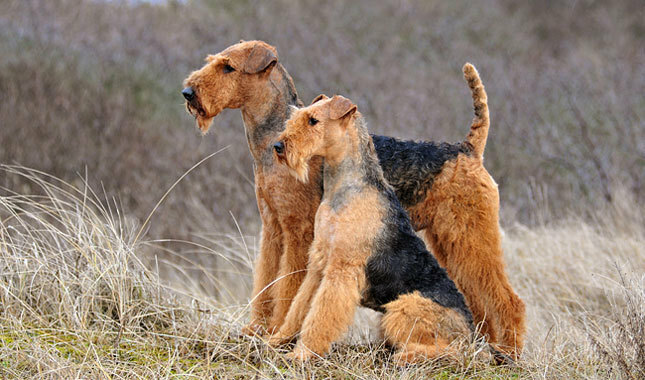 The Airedale Terriers’ tails are generally docked i.e. surgically shortened. It is not meant to be curly and generally of good strength and a fair length. But in many countries like UK, where dock a dog’s tail is illegal as long as it is for the dog’s benefit, the tail is meant to be fluffy and if often left long. • If you are looking for digestibility, rice and lamb can be seen an excellent choice. • If you want protein sources for your terrier, eggs, organic meat, muscle meat and milk are ideal. • The protein levels in an adult terrier’s food should not exceed 24%. • The ideal vegetable sources can be corn, soybean and other grains. 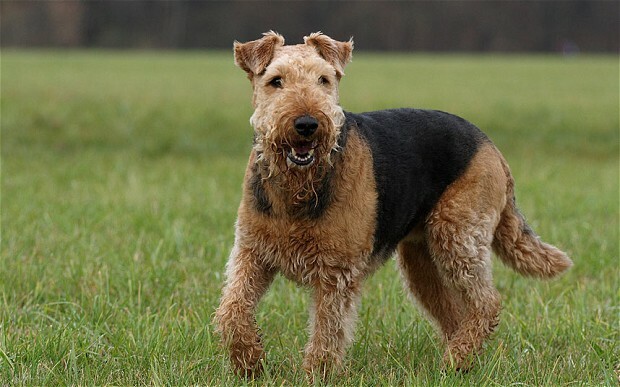 • If you want to feed your terrier with preservatives, then you are looking for naturally preserved vitamin E.
The Airedale Terrier is bred from an Otter-hound and a Black and Tan Terrier. 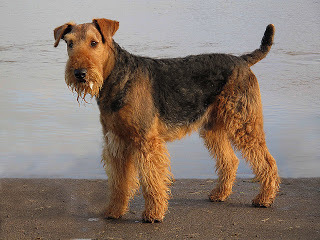 It is often referred as the Waterside Terrier as it was bred originally to hunt and chase otters a round and in the valleys of the river of Aire which passes through Airedale. In the UK, this dag has also been put into the use of a police dog. 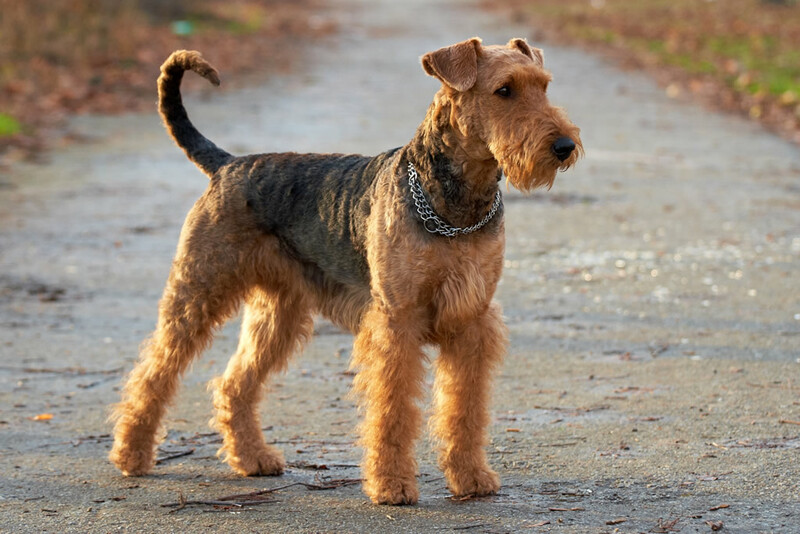 The Airedale Terrier was originally said to have been bred to hunt otters but apart from being a hunting dog, it has developed into a working animal. They were used as sports dogs for the common man. They would execute the final kill of the quarry alongside hounds during the British gaming ages. During the mid- nineteenth century, they were used to catch river rats along the River Aire bay. Throughout history they have also been used to catch rabbits, fowls and hares. It is used by police departments all over the world to solve criminal cases. 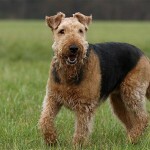 The average life span of an Airedale Terrier is around 11.5 years which is around the same to other breeds of its size. Its litter size can be around 9 pups at a time. 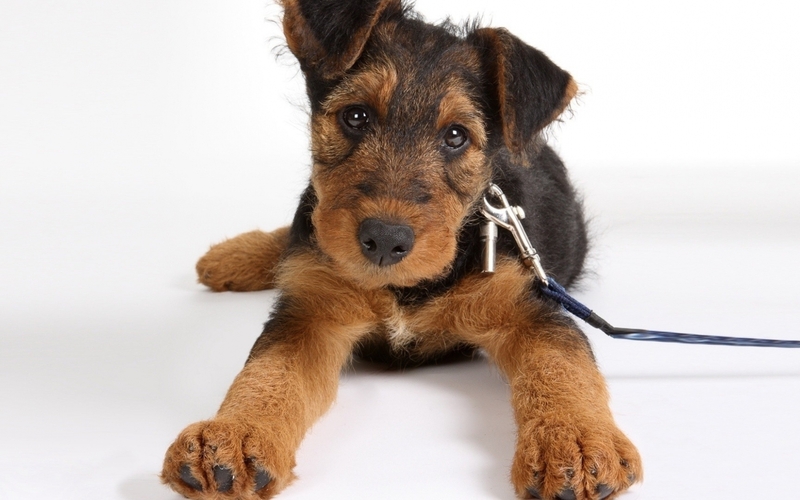 The most common causes of death among the Airedale Terrier are cancer followed by old age, urological and cardiac. 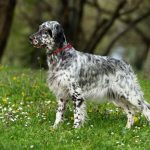 It is a breed that has been often seen to suffer from many skin diseases and hip dysplasia. Some may even die due to severe eye problems. 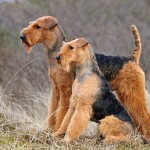 The Airedale terriers have very thick, hard and dense coats. Because of this, different skin disorders go unnoticed in them. These dogs have the habit of licking the itchy areas constantly. Because of the constant licking, a skin disorder is caused known as the acral lick dermatitis or more commonly called as the acute moist dermatitis. In worst cases, the patch becomes itchy, and oozing when the dog does excessive licking and chewing. Such kinds of allergies are formed due to dietary imbalances and hormonal imbalances. 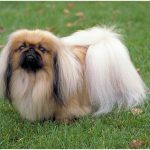 This breed is also affected by Gastric torsion or bloat. Bloat refers to the swelling up of the intestine and stomach of the dog. 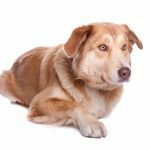 In extreme cases, the bloat may also prove to be fatal as it leads to collapse in cardiovascular components of the dog. Some of the major symptoms of bloat include increased stomach pain, constant feeling of vomiting and abnormally increased salivation. In order to avoid any chances of bloat, the dog should be left to rest for some time after eating. It should not be left to exercise immediately after eating. It is very difficult to recognise the diseases in Airdale Terrier. One should have proper knowledge on the symptoms and causes of the disease caused. At the time of its initial breeding, it was used as a hunting dog and would therefore live on farms alongside hounds which are its natural hunting mates. But now it domesticated in huge numbers and therefore can be kept as house pets after being properly vaccinated. It has also huge role along with police departments, so it can also stay in police-stations when provided with proper care takers. Its hard outer coat enables it to face harsh conditions of the wild. 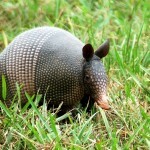 Hence, it can survive equally as domesticated and wild. 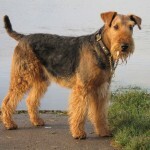 Airedale Terriers exhibit tough working ability and are known to be used as hunting dogs. They show herding abilities as well. They are found to comfortably work with cattle and other livestock. 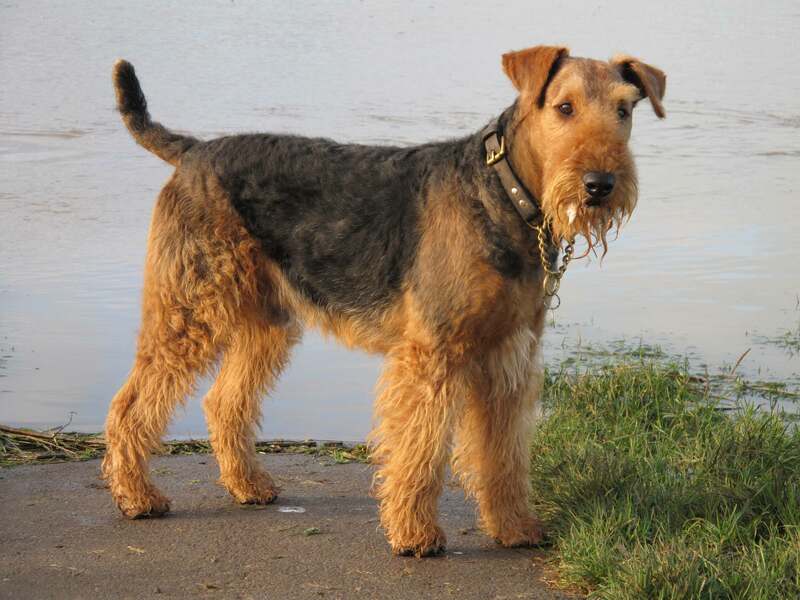 If an Airedale Terrier is not trained well, it may show a bit of agitation alongside cattle. They show a positive attitude towards hunting games. Also, they are found to be full of curiosity. It hunts independently which makes it independent, intelligent, stoic and strong-minded. If brought with children in a correct way, they prove to be excellent family dogs. They also behave in a proper manner like cats or other animals which are used as pets and if raised with them, they prove to be at the best of their behaviours. At times, these dogs are found to be stubborn animals and get easily agitated. Even- though, these animals can be well-trained, they can be aggressive when things are not according to their whims.